Thank you for visiting the website of St Paul's Church of England Combined School, I hope you find the information here useful. 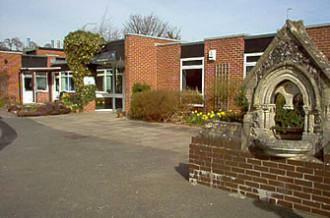 St Paul's is located between the villages of Wooburn Green and Bourne End on a quiet housing estate. It benefits from extensive grounds with countryside and a park nearby. The school has a caring ethos based upon Christian principles where children are encouraged to take responsibility for their learning and embrace challenge. Our experienced and dedicated staff are committed to providing a high quality education for all pupils. We offer a well-balanced and stimulating curriculum that encourages children to develop a positive attitude to their learning. We aim for teaching and learning to be engaging, relevant and responsive to current events, bringing the world into the classroom. We set high standards and have high expectations for all our children both in their learning and behaviour. We strive to ensure that all cultures, faiths and backgrounds are embraced and children show respect for each other and the school. We aim to ensure our pupils develop enquiring minds and acquire the relevant skills, attitudes and knowledge, including a life-long love of learning, to prepare them as they progress in their education. We also encourage a healthy attitude towards physical activity, diet and emotional well-being. A wide range of extra-curricular activities is offered so that children can further develop their sporting, musical and artistic talents. Parents are encouraged to be closely involved in their child's education and we are fortunate to have a very supportive and active PTA. Governors at the school ensure that our aims and objectives are met through strategic planning and budgeting to guarantee high quality resources and facilities for the children in our care. Our school community will be a place of enjoyment, respect and hope, where courage is valued and skills developed for all to thrive in a diverse world; growing in strength, wisdom and faith. Visitors to our school often comment on the supportive, caring atmosphere and respectful, warm interactions between all members of our community. If you are interested in finding out more about our school first hand, please come and visit us.